Il s’agit d’un excellent émulateur de GameBoy/Color sous Windows. – Added ability to play GBC games in GBA « backward compatibility mode ». – Use -gba in VGB-Unix to enable GBA compatibility mode. 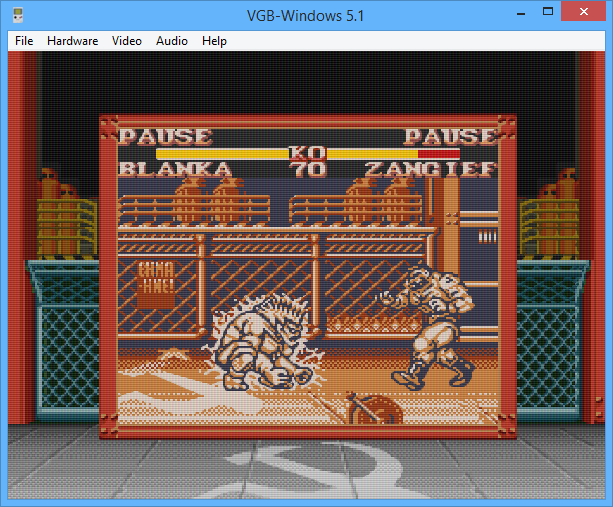 – Use « Hardware | GameBoy Model | GameBoy Advance » in VGB-Windows. – Added ability to browse through paused replay. – During replay, press [LEFT] and [RIGHT] keys to browse. – Press [UP] to resume replay, any other key to continue. – Press any other button to continue playing. – Made replay save states approximately every 170ms. – Made replay code always return « replay-ended » when replay ended. – Made WaitJoystick() exit when window closed.